Holi, the festival of colors, is fast approaching and everyone cannot wait to celebrate, especially children. However, as we prepare for the festival, we must realize that the number of accidents that occur each year during the festival is high, given the negligence and lack of knowledge of children. Therefore, it is of utmost importance to ensure the safety of our children to prevent such incidents from ruining the party spirit. Read on to find some tips to keep your child safe this Holi and precautions for playing safely. 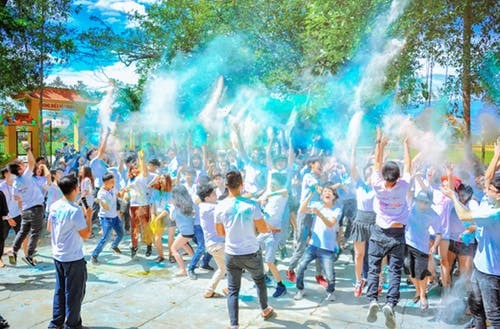 Holi is the only festival where everyone can indulge in the vaporization of colors and water, whatever the region of the country to which they belong. But in doing so, we tend to use colors containing chemicals that can cause skin allergies, rashes or hair damage. All these effects can be very damaging to the skin and hair of the adult, let it be quiet, that of a child whose skin is all the more delicate. It is, therefore, the responsibility of parents to ensure that appropriate precautions are taken in advance and follow the tips to keep your child safe this Holi. Holi is a carefree festival that is very fun to participate in if you are not afraid to get wet and get dirty. You will eventually saturate with water, with color on your skin and clothes. Some rooms do not wash easily, so be sure to wear old clothes. It is also recommended that you first apply coconut oil to your skin to prevent the color from absorbing. Children especially enjoy the festival by throwing balloons filled with water on the passersby and if someone looks at them, they have already answered “Bura Na Mano Holi Hai” and inducing a smile on the face which may irritate but still most of the people never mind. In addition, they have their water missiles, called Pichkaris (water squirters), to soak the person away and escape the abrasion. 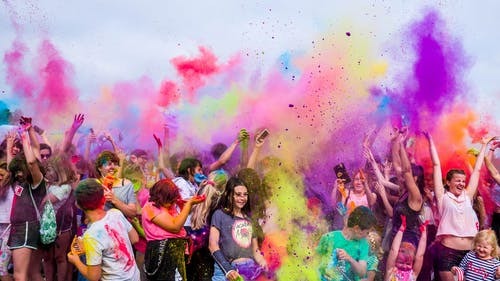 However, in the middle of all this, you must also make sure that Holi’s mind is not wet and that the kids are having fun while having fun with the adults. Below are some tips to keep your child safe this Holi. Make sure that you or an adult always stay around your child when playing with colors or water. Especially when a large drum or tub is used to provide water. The child can accidentally fall into the bathtub or drum by stooping to draw water from his ‘Pichkari‘. 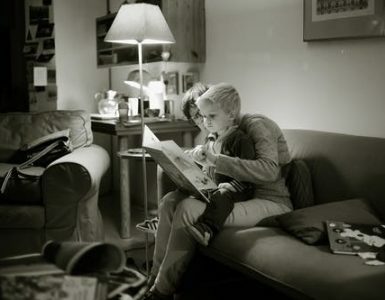 So, always stay close to your child. This will help prevent accidents that might otherwise prevail. Try to opt for natural colors. At home, you can create herbal, skin-friendly colors using turmeric, sandalwood, henna, and more. Avoid toxic colors containing harmful chemicals that can cause skin allergies or rashes in children. These eco-friendly colors are easy to wash and do not cause any damage to the skin. In addition, your motivation to celebrate Holi in an ecological way will also materialize. This is one of the best tips to keep your child safe this Holi. Advise your child to use Pichkaris in a way that does not harm others. Ask him to avoid spraying water on the face, eyes, or ears of other children. It is fun to play with balloons, but it can hurt the person to whom the balloon is intended. The impact with which it falls can have harmful effects on the skin, the eyes or the ears. Be sure to teach your children not to put color in their mouth. These colors contain harmful chemicals that, if consumed, can cause serious reactions such as vomiting and even lead to intoxication. Make sure your child wears a dress that completely covers the exposed skin. Long-sleeved clothing should be chosen for boys and girls. It is mainly to avoid contact with the colors directly with the skin. Train your child to respect the autonomy of others during Holi. Ask your child not to be rude to neighbors and co-workers and not to leave him alone either. The aggressiveness of all kinds should be controlled. Teach them that if someone refuses to join the color or apply the color, never force. Likewise, do not let your kids use eggs or mud to play Holi. Impure behavior should never be accepted. Keep a list of emergency contacts with you. It should include contacts from your child’s doctor, ambulance, nearby hospitals, etc. Follow these steps to protect your child’s skin and hair from the harmful effects of color when playing Holi. Apply oil or cream all over your child’s body before he plays Holi. You can use coconut oil or olive oil to moisturize the skin. If necessary, you can also apply sunscreen to keep the skin hydrated and protect it from the sun. 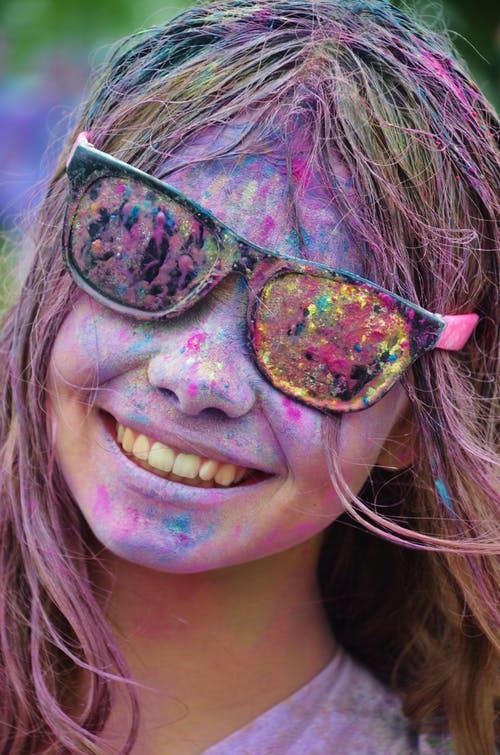 These skin care tips for Holi are intended to ensure that skin and hair remain protected from the damaging effects of chemical-based colors. Oil your child’s hair the night before Holi. Repeat this in the morning too. Tie your daughter’s hair before going to play. You can also tie a scarf on the head as a means of protection. Holi colors are full of harmful chemicals for the skin and the body in general. To protect your toddlers, it’s a good idea to use eco-friendly colors that do not harm your skin or hair. They are expensive, but I’m sure we all want the best for our children. So, do not hesitate and buy organic colors based on natural elements. After reading tips to keep your child safe this Holi, let’s look at some Holi precautions. Play safely. Do not be noisy and do not let others be rude to you. The best option would be to play with homemade natural colors. Your skin and hair will feel altered by the use of skin-friendly natural products. If natural colors are not possible, make sure you have better herbal color quality. Buy the colors of a reputable store or seller. Use more red or pink colors that look good and can be easily removed. Different colors like brown, purple, green, yellow, blue have more injurious chemicals in them and should be kept away from children. Make sure your face is well creamed or oiled before and after the piece. Apply a thick layer of paint on your nails, both in the fingers and toes, so that they remain protected. Oil your hair well so that the color does not stick to your hair and can be easily removed later. Cover your hair. Use hats or caps to prevent your hair from being stained with dyes that are difficult to rinse. Make sure the powder or other product does not get into your eyes. The eyes are extremely vulnerable to Holi because of their strategic place in the body and the use of harmful chemicals in colors nowadays. Please make sure your eyes stay protected at all times. Use sunglasses to protect your eyes from misfires or color fountains. Use dental caps to protect your teeth from unwanted stains. Put on your worst clothes so you do not have to worry about an immediate wash.
Rags like ripped jeans and bright colors like black, blue, green and purple are strongly recommended. Keep your face away from dangerous colors. If your attempts fail, keep your eyes and lips tight if you are attacked in the face. If possible, avoid going outside, at least during rush hours. The premises of your house protect you from hooligans, even from your friends, who can be a bit hard during the day. When traveling, keep the car windows closed, even if you do not have an air-conditioned car. Do not fall on the group of the frenetic crowd if you take the street. Better cross the road on the sidewalk. Or just stay at a safe distance. 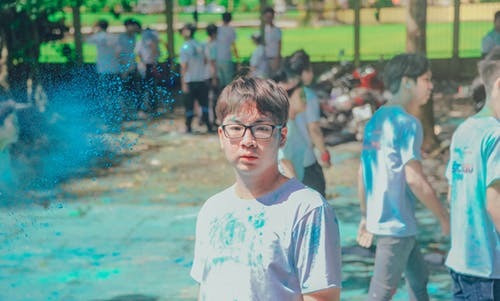 How to remove Holi colors from skin? Wash your skin first with cold water and try to gently remove the colors by sliding them, because the oil applied beforehand would help you. If you are not able to do this satisfactorily, rub the skin with sliced lemon to remove stains. Lemon is a natural whitener that helps eliminate color stains. Leave it for 15 minutes and apply a lot of moisturizer after that. Cleaners can also be used. Use lukewarm water to take a bath with a mild moisturizing soap. Do not try to force stain cleaning by rubbing vigorously as this may cause skin irritation and dryness. If you want to remove the oil paint from your face, you can use mustard or coconut oil. Use cotton to apply the oil to your face and rinse it gently with both hands. Holi, the festival of colors, is a festival of conviviality and celebration. Admittedly, it’s fun, but also invites sudden accidents. You should, therefore, keep in mind the tips to keep your child safe this Holi. Prepare your children before sending them to celebrate the festival of colors. 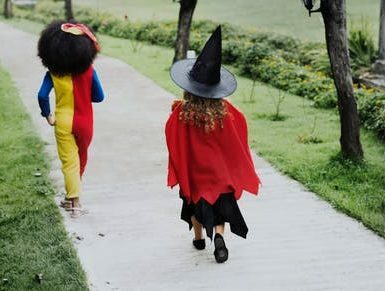 By making sure that your child is safe, you will have peace of mind, so you can enjoy the festival without reservation. Hope you liked the tips to keep your child safe this Holi. Please share more tips to keep your child safe this Holi with us in the comments section below. Wish you a Safe and Happy Holi!